1993 BS Contest @ Scrap from Adam Guild on Vimeo. Starting 2019 with a belter from the archives courtesy of Adam Guild. The 1993 BS Contest at Scrap Skatepark in Chicago, USA. The edit starts out with some great park footage from Dave Mirra RIP, Dennis McCoy and Jay Miron. 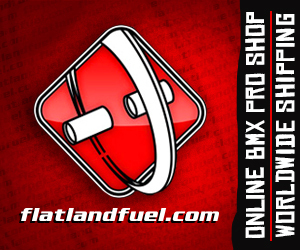 The flatland kicks in at the 2:55 mark with the likes of Chase Gouin, Chad Degroot, Day Smith, Edgar Plascencia and Ross Smith. The final line by Ross is still to this day absolutely ridiculous, well worth a watch! 1993 Shimersville, PA BS Contest from Adam Guild on Vimeo. Chicago BS Finals 1994 from Adam Guild on Vimeo. Pure gold from the flatland archives today courtesy of Adam Guild. Amazing footage from the Chicago BS Finals back in 1994, featuring Chad Degroot, Andrew Arroyo, Day Smith, Brian Tunney, Trevor Meyer, Nate Hansen, Sean Peters, Jason Brown R.I.P, Paul Palmer R.I.P, Matt Gibson, Paul Osicka, Steve Roy, Sean McKinney, Dylan Worsley (infamous for dropping the pedal switches at this contest!) and many more, this is well worth sitting down with your beverage of choice and taking a trip down memory lane. What a killer contest, thanks Adam for the upload! It’s been a while since I posted this amazing section of Chase Gouin, from the Chasing the View off the Cliff video, filmed in 1994 with bonus footage of Chad Degroot, Day Smith, Bill Nitschke and Ross Smith at the BS Contest in Chicago, in 95.. This is well worth a watch, timeless riding! The first throwback of 2018, we go back to 1994 and a flatland classic by Ells Bells. Ring the Gack features amazing riding from the likes of Chase Gouin, Jesse Puente, Richard Zabzdyr (R.I.P), Paul Osicka, Trevor Meyer, Chad Degroot and many more. Worth sitting down with a cuppa and enjoying this one! Like I said in my review of Landscapes 1 last year, DVD’s in the modern era are a sad rarity in our scene from my perspective, during the last two years you can count those on less than one hand. Dane Beardsley’s Same thing daily project and IGI’s travel video are all we have had. Stewart Munro from Australia stepped up to the plate with an ambitious project to collect and edit together rider sections from all the planet, when you think about that in the modern internet culture and free edits available everyday it almost seems like a thankless task. 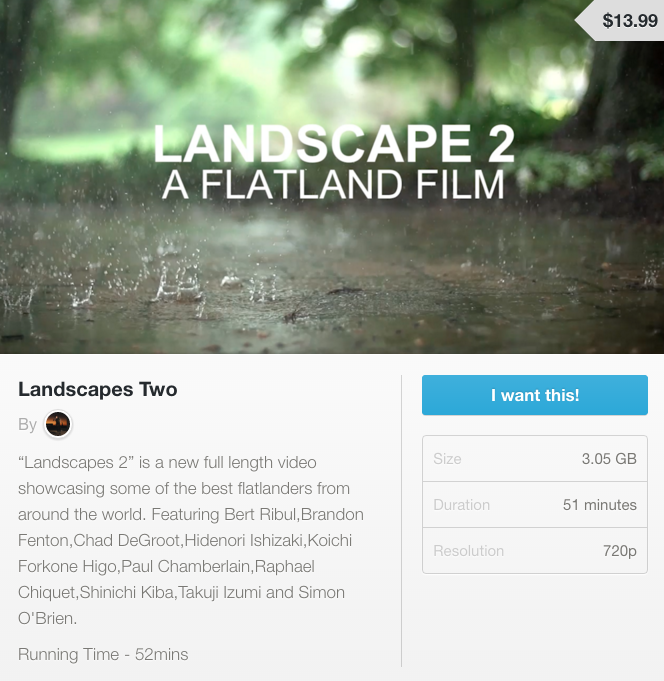 Landscapes 2 starts with a nice intro describing verbally the feeling of flatland and what it’s all about “it is a mirror that shows each of us who we are”. There’s always a unwritten formula to making a DVD, banger section to start, middle and the all important who got the last section. Would this follow suit, 52 minutes long let’s get into this! Landscapes 2 Available to Buy Now! 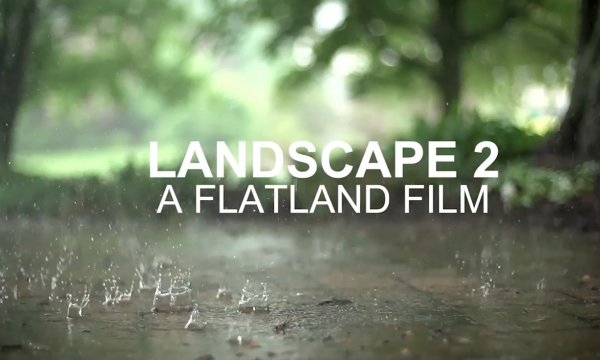 “Landscapes 2” is a new full length video showcasing some of the best flatlanders from around the world. Featuring Bert Ribul,Brandon Fenton,Chad DeGroot,Hidenori Ishizaki,Koichi Forkone Higo,Paul Chamberlain,Raphael Chiquet,Shinichi Kiba,Takuji Izumi and Simon O’Brien.